Swann Galleries is very proud to be offering for sale the art collection of one America’s great cultural heroes, Dr. Maya Angelou. 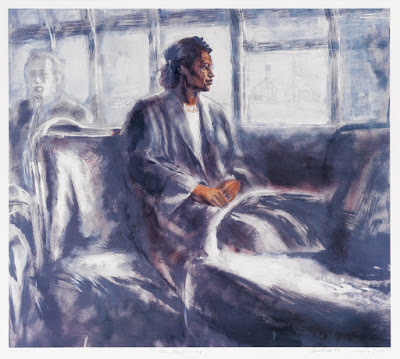 Dr. Angelou’s homes were filled with paintings, sculpture and works on paper, including significant works by prominent African-American artists. She developed longstanding friendships and partnerships with many of these artists, and inspired many others. Dr. Angelou’s collection reveals a natural affinity between this great American poet, writer, thinker and educator, and her visual artist peers. Lot 37: Artis Lane, The Beginning, offset color lithograph, 1994. This collection reflects the important changes that African-American art and culture underwent during her lifetime. In the early 1960s, Dr. Angelou lived abroad in Cairo, Egypt and Accra, Ghana where artists like Herman “Kofi” Bailey, John Biggers and Tom Feelings also witnessed first-hand the rise of African nationalism. In Mexico, Dr. Angelou found great inspiration in Elizabeth Catlett, who also championed the role of women in her work, calling Catlett “queen of the arts.” She connected with artists in the Civil Rights and Black Arts movements when she returned to the United States in 1965. In California, she befriended a diverse group of artists, including Phoebe Beasley, Bernie Casey, Artis Lane and Samella Lewis. They shared a new social and political consciousness in describing the African-American experience. Two striking contemporary works in the collection dedicated to Dr. Angelou are a testament to her ability to inspire. 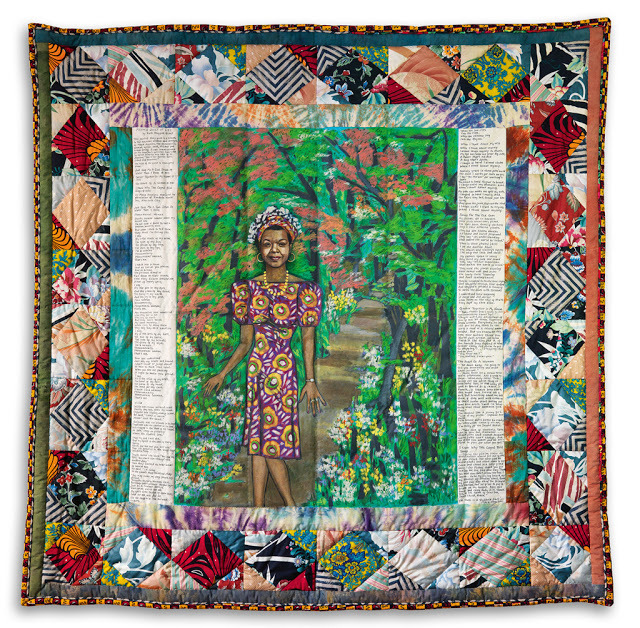 Faith Ringgold’s quintessential story quilt, Maya’s Quilt of Life, was commissioned and gifted to her in 1989 for her sixtieth birthday by her great friend and supporter, Oprah Winfrey. OWWA Maya was created by sculptor Melvin Edwards in honor of Dr. Angelou, and awarded to her by the Organization of Women Writers of Africa in 2011. This will be the first and only time the public will have a chance to see this collection together, and experience a private side of Dr. Angelou. While some of her works were lent on occasion to museum exhibitions, they all hung together in her personal residences. My hope is that this catalogue will serve as a lasting record of her collection and her close connection to the visual arts. I would like to thank the Angelou Johnson family for all their trust and assistance in making this possible.